Welcome to the page on Planet Whiskies all about Chivas Brothers, the Scotch whisky business of Pernod Ricard. 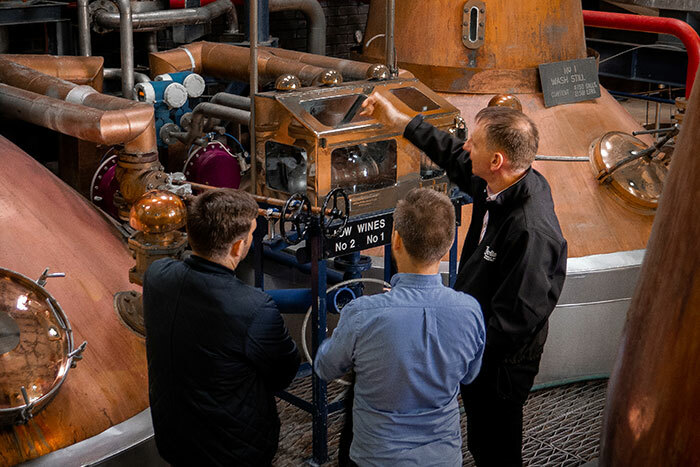 This company has developed over the years to become one of the major whiskies companies in the world and has a large selection of distillery and production centres within the UK. 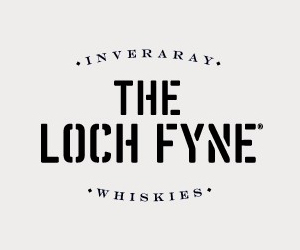 At the time of writing this company has a total of 12 operating malt distilleries (named below), one grain distillery and also owns two gin distilleries in the London and Plymouth area of England with the famous brand names of Beefeater London and Plymouth English Gin. 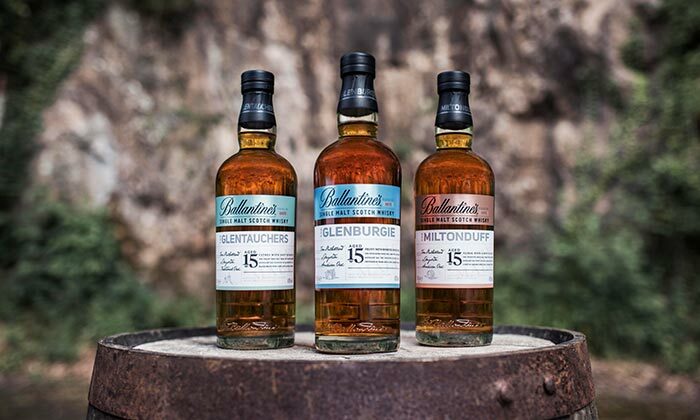 They also have several bottling, blending and warehouse facilities in the following areas around the UK: Kilmalid, Paisley, Newbridge, Dalmuir, Keith, Mulben, Airdrie, Balgray, Dumbuck and Willowyard. These warehouse facilities have a total collection of more than six million casks. 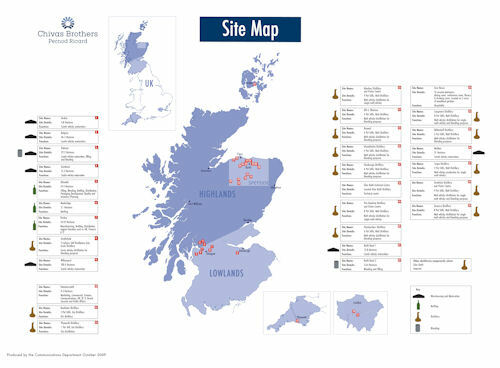 Chivas Brothers is a leading employer within certain area of the UK with around 1,600 employees covering the 32 sites. The company’s headquarters is based in Paisley. There are a few key areas of note regarding the success of Chivas Brothers which I would like to note. Firstly Pernod Ricard is world’s co-leader in wine and spirits and is the global leader in luxury Scotch whisky with 85% of the market share aged over 21 years and older. In 2001 Pernod Ricard acquisition Seagram was the major factor in Chivas Brother going from strength to strength and then in 2006 the company acquisition of Allied Domecq. The name of Chivas Regal comes from the two Chivas Brothers namely James and John Chivas who by all accounts started producing blends around the early 1800’s in Aberdeen. The brothers believed from the start that a high standard of whisky producing was a key strategy for success within the whisky business. In their time the problem with whisky was it was very harsh and poorly matured so they set their sights on very high standards of whisky production and one that they would be delighted to share around with their family and friends with the knowledge that it was the best whisky they could produce. So when they started creating whisky they made sure the whisky was consistently smooth and a very high quality blended whisky. The two brothers were really the first to master the art of blending and over the years they passed on their blending skills to others and the creation of Chivas Regal in 1909 rewrote the whisky history books when the creation of the first 25 Year Old blend was blessed to the whisky industry. This blended was shipped from Aberdeen to New York in the same year and was warmly received by the American high society. This blend was soon the talk of the town and developed in a global icon. It was only produced in limited quantities, so as soon as it was produced it was shipped out and demand was so high that stock levels where always limited and the success of this Chivas Regal 25 Year Old blend was here to stay. Tasting notes for this blend is stated below with other Chivas Regal products. The ‘home’ of the Chivas Brother from the 1950’s was the distillery of Strathisla within the Speyside area of Scotland. 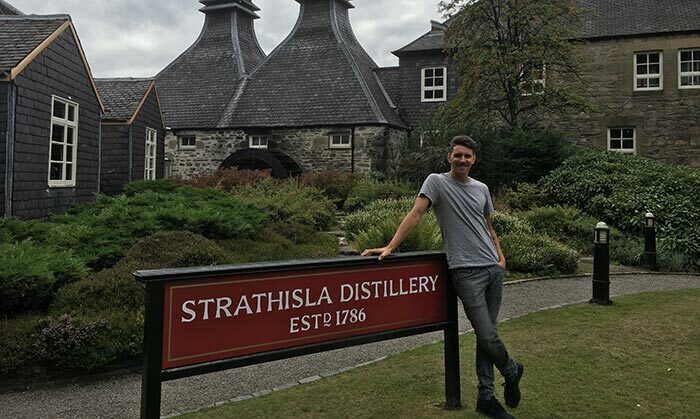 They has been using the malts whiskies from this distillery for a number of years to produced the Chivas blends and decided they wanted to secure the future of the malts of the oldest working distillery in the highlands for their blends. 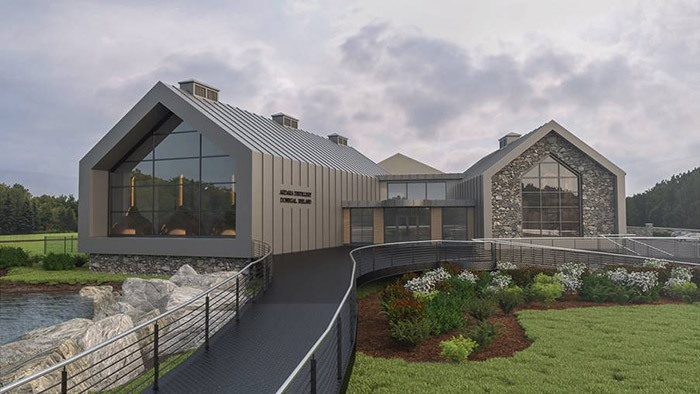 Around the Strathisla distillery and the Speyside region it is the perfect location for producing malt whisky with its micro-climate, water, air and landscape to produced high quality single malt whiskies. 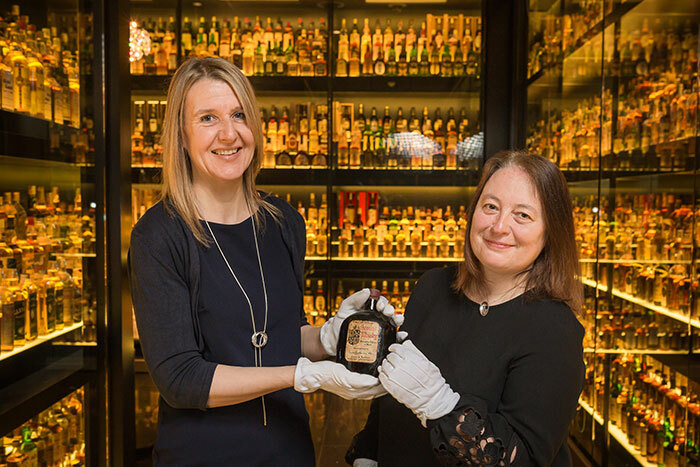 The Chivas Brothers took Speyside as there spiritual home as it was universally recognised for several hundred years as home of the best produced Scotch whiskies. Over the years there has been a number of the Chivas Regal blends produced. Chivas Regal blends total sales annually are around the 4.2 million nine litre cases and this is spread throughout all the continents in the world and is therefore a truly international brand name. The key market places where the Chivas Regal blends are sold are the following countries: USA, China, Venezuela, Mexico, France, Russia, Spain, Greece, Italy, Japan and Taiwan. They also have large sales within the duty free market around the world. With the Chivas Regal blends there just keep outselling the competition is so many way and you can read all about them below with a detail description of each of the blends and also if you would like to buy these please click on the buy now link provided. Chivas Regal 12 Year Old – This is an excellent blend with a warm amber colour with the taste of honey and ripe apples with vanilla, hazelnut and butterscotch. There is an aromatic infusion of wild herbs, heather, honey and orchard fruits. This size of the bottle is 70cl and strength is 40%. Chivas Regal 18 Gold Signature – This is a highly rated blend which did receive a 9 out of 10 from Dave Broom from the Whisky magazine in January 2005. The colour of this blend is an intense dark amber colour and is an exceptional rich and smooth blend with a velvety, dark chocolate palate, elegant floral notes and a wisp of sweet mellow smokiness. It has an amazing finish which is long, warm and very memorable. This blend has received numerous awards which include a gold medal at the International Wine & Spirit Competition in 1998. This was the first year it was entered and then 7 years later it won the same award again. In the same year it was also selected as Editor’s Choice by the Whisky magazine for its premium blends tasting. Another award this blend received was in 2007 when it was awarded the prize of Best Blended Scotch by the Malt Advocate Magazine in the US. It was also awarded a Double Gold at the San Francisco World Spirits Competition in 2008. 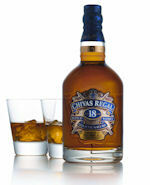 Only last year (2009) Chivas Regal 18 Year Old was again awarded a Gold Medal at the International Spirits Challenge. Chivas Regal 25 Year Old - Chivas Regal 25 is often regarded as the pinnacle of the range as this is the blend which got things started. Chivas Regal 25 Old Year 'pays homage' to the original blend created by the Chivas brothers, as otherwise it suggests that this product has been available consistently since 1909. Chivas Regal 25 Year Old was created by current Master Blender Colin Scott and is only available as a strictly limited release in individually numbered bottles. It is elegantly smooth and perfectly balanced and you would expect and has an abundance of flavours and aromas. 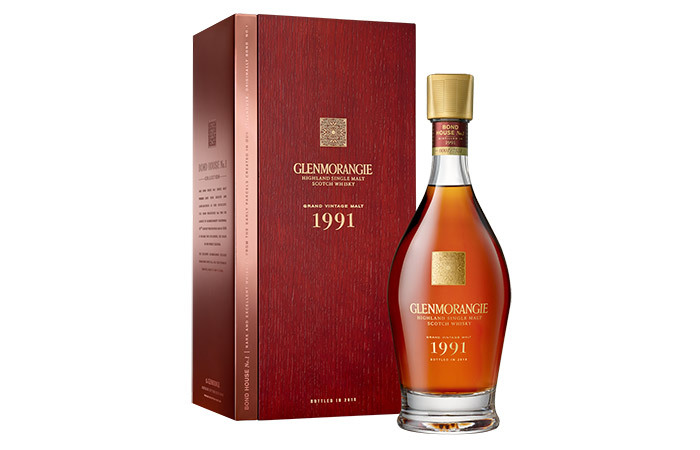 There is a taste of sweet orange and peach at the beginning then this is followed by notes of marzipan and nuts with a hint of rich chocolate orange combined with fondant creaminess on the palate. This is a glorious smooth blend with a full rounded and luxuriously long finish. The portfolio of the Chivas Brothers as stated above does not stop with Chivas Regal. 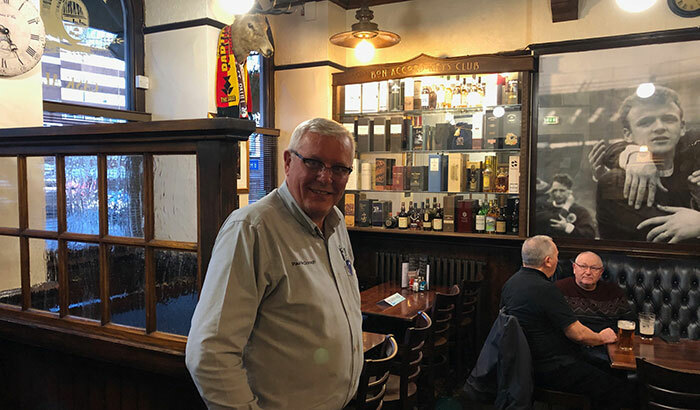 As this is a whisky site I will only write about the whisky products, but as you are aware this company also deals with Beefeater Gin and Plymouth Gin which are truly international brands within their spirit class. Ballantine’s – This famous whisky brand name of Ballantine’s is No.2 Scotch whisky in the world and has sales of the 10th largest spirit brand in the world. The Ballantine’s sales total 6.2 million nine litre cases sold annually around the world and is a truly international brand as well. 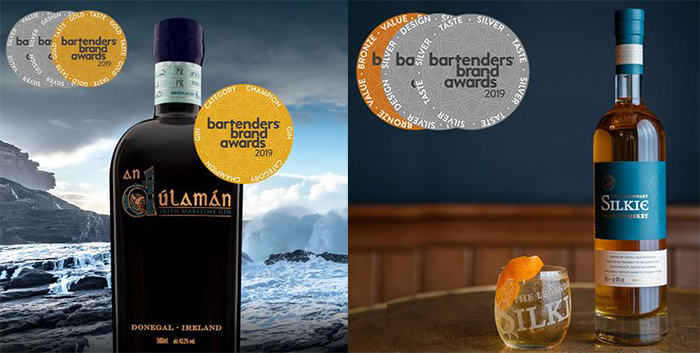 The key markets for all the Ballantine’s blends are Spain, Korea, China, France, Italy, Germany, Greece, Portugal, Eastern Europe, Australia, Brazil, Japan and Taiwan. 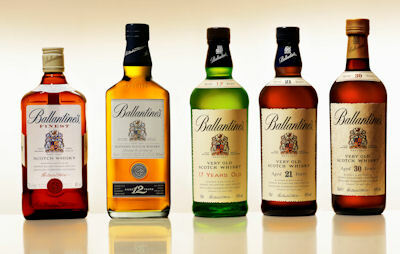 Click to view the list of Ballantine’s blended whiskies and read more about this amazing brand name. Royal Salute - Royal Salute is a leading luxury Scotch whisky aged 21 Years Old and above. This was produced to commemorate the coronation of HM Queen Elizabeth II and is rated highly. The first bottle of Royal Salute 21 Year Old was launched in June1953 on Coronation Day. Click to view Royal Salute range on this website. Aberlour Malt Whiskies – This malt whisky is the leading brand whisky withinFrance and is sold throughout the world. Its standing now are 7th within the top 10 most popular malts worldwide. Aberlour range of malt whiskies is extensive and the core products are the 10 Year Old, 12 Year Old and16 Year Old. 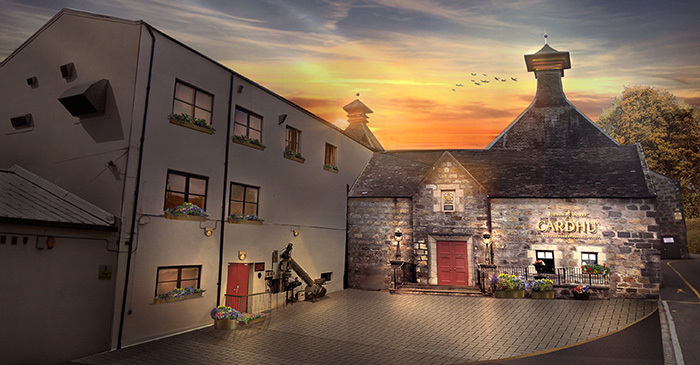 You can see the malts that are available as non duty free on the Aberlour Malt Single Malt whisky page by clicking this link or click here to read all about the Aberlour Whisky Distillery. Clan Campbell Whisky - Clan Campbell is also very popular in the French whisky market and continues to show phenomenal growth within this market. It has a poster campaign in the 1990’s which as very successful with the advertising slogan of ‘You Are Entering the Land of the Clan Campbell’. The current campaign is called ‘The Heart of the Land’ It is also popular in Spain were sales are increasing at an excellent rate. One of the attractions of the Clan Campbell whisky is it special label. This is aimed at clubs where the label glows under the UV light of the club. To read more about this whisky please click this link. 100 Pipers Blended Whisky – This blended whisky will need no introduction to most whisky drinkers as it is the 8th most popular blended whisky in the world and is number 1 in the Thailand which is Asia’s No.1 market place for Scotch whisky. 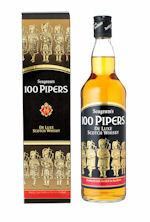 100 Pipers also have a strong foothold in the whisky market place of Spain, India Australia and Venezuela. The brand’s name emanates from the ‘ballad of 100 Pipers’ commemorating Bonnie Prince Charlie’s 1745 uprising when he was led into the field of battle by a band of 100 pipers. 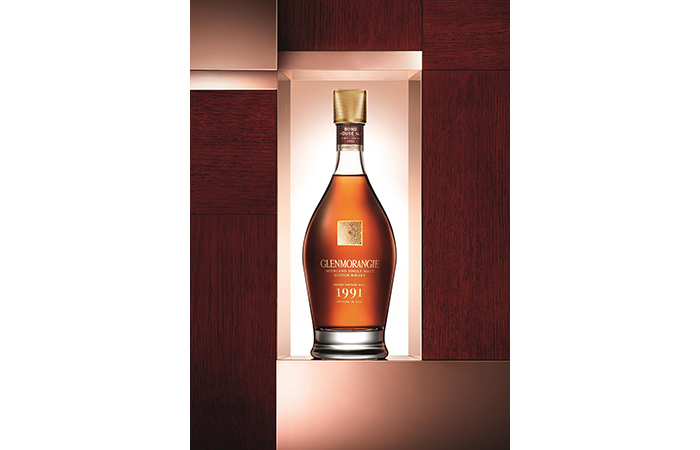 The 8 Year blended malt was launched in Thailand and includes other Chivas Brothers distilleries within its blend. The malts that are used are excellent quality from the Braeval and Allt a’Bhainne Distilleries. Click to read more about 100 Pipers. 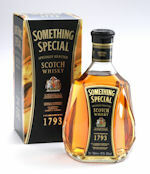 Something Special Blended Whisky – This is another excellent blended whisky and is very popular in Latin American countries such as Venezuela and Colombia where it is No.3 whisky blend. Something Special was introduced in 1912 by Hill Thompson and Co. They select casks for the whisky themselves to make sure they were right for this brand. The casks used in the distilling process for Something Special are from European and American oak. One of the blends of Something Special is a 15 Year Old and has up to 35 of the finish Speyside and Islay malt whiskies and soft grain whiskies included. Click to read more about this blended whisky. 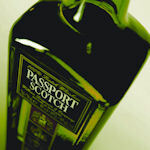 Passport Blended Whisky – Another blend founded in the 1960’s and has strong sales in the following countries – Spain, Brazil, USA, Mexico, Angola and Eastern Europe. The taste of this whisky is one of unusually fruity taste and a deliciously creamy finish. This whisky can be server straight or over ice or mixed. 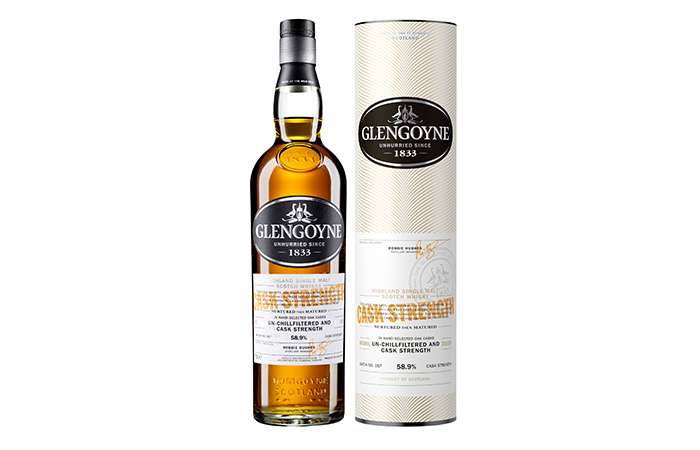 Longmorn Malt Whisky – Longmorn is an excellent malt over a century old created by John Duff in the 1890’s and is sometime describe as Speyside’s best kept secret. It is well established in the UK market with excellent sales, but does also have a very strong foothold in France, the USA and Canada. Click to view the full range of Longmorn Malt Whiskies and also see find out more about this famous Longmorn distillery located on the road between Elgin and Rothes. Scapa Malt Whisky – This malt is from the Island of Orkney and is a gentle island malt. The island that Scapa is produced is the largest of the remote island on Orkney and is the most northerly place for Scotch whisky distilling and maturation. The malts from this distillery are uncommonly sweet and silky smooth. The Scapa distillery was founded in 1885 and uses the rare Lomond pot-still which gives it its distinctly smooth taste. The key markets for Scapa Malts are in France, Germany, US, UK and Canada. Scapa was awarded a Gold medal at the 2009 International Spirits Challenge and the International Wine and Spirits competition. New packaging was released in 2009 with a new label. This has been insoired by the natural beauty and colours of the Orcadian landscape. 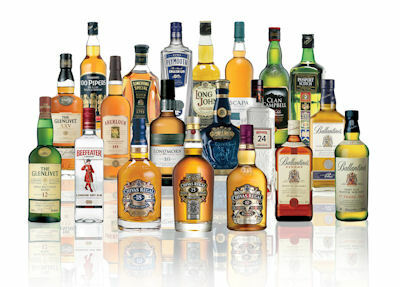 Click to view Scapa Distillery selection of malts. 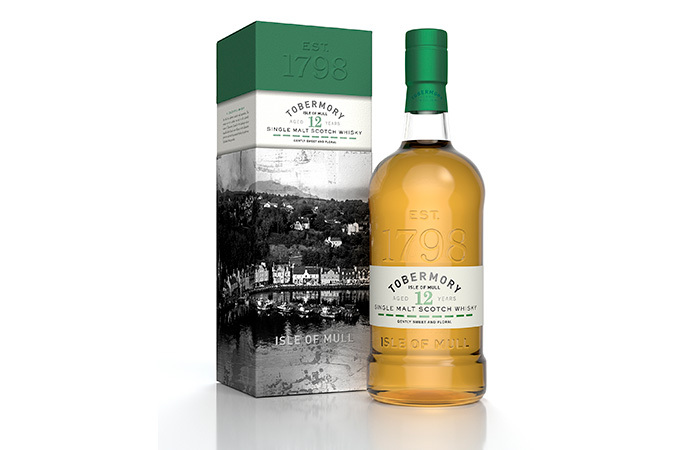 Tormore Malt Whisky – Tormore is a classic Speyside Single Malt which is loved by the whisky industry. The distillery was built in 1957 and this makes the distillery the first new distillery of the 20th century. Just below this distillery is the famous River Spey which is one of the few remaining beds of freshwater Pearl Mussels. These mussels only survive in the purest of water and this water is used in the distillation of the Tormore Malts. 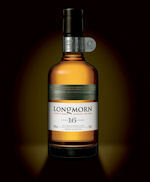 The characterists of this malt is that there is a gentle citrus notes and toasted almonds on the nose. When drinking this excellent malt the taste is smooth and soft and the finish is long lasting. So this malt is famous in its own rights, but it is also used to make the Long Johns blends. 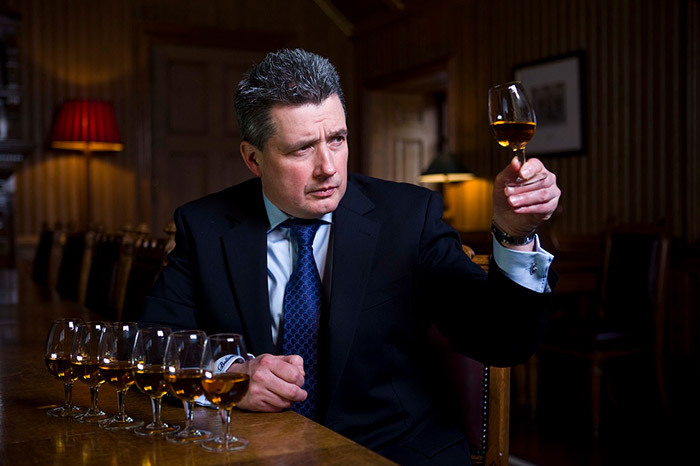 Read more about the single malts from this distillery by clicking here. You can read about all the other brands throughout this site by click on the following links. 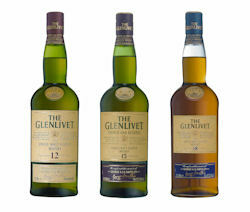 These links below will take you to distilleries which are under control for Chivas Brothers and there are also links to the Single Malt Whisky pages on this site where you can browse through all the pages and buy any of the malts that are present. 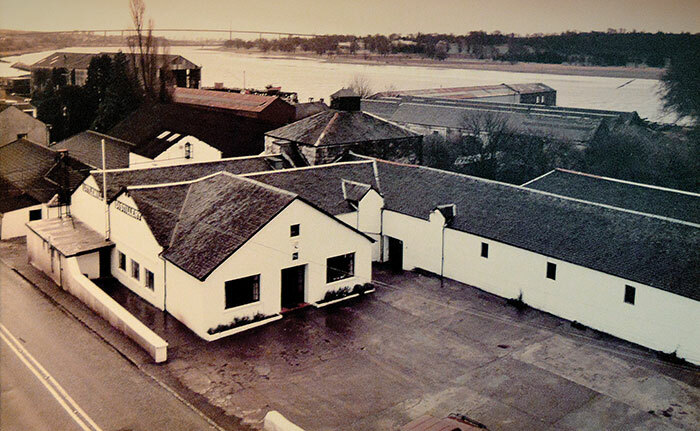 View the history of the Aberlour distillery and contact details. View the Scottish Single Malt Whiskies from the Aberlour Distillery. 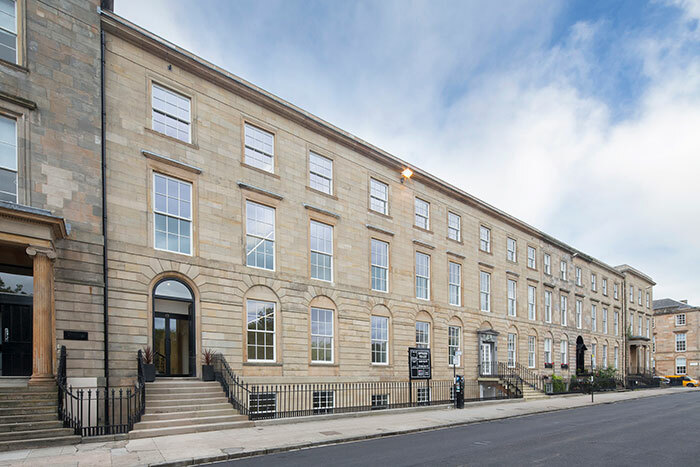 View the history of the distillery and any contact details. View the Scottish Single Malt Whiskies from the Braeval Distillery. View Scottish Single Malt Whiskies from Miltonduff Distillery. View Scottish Single Malt Whiskies from Scapa Distillery. View Scottish Single Malt Whiskies from the Tormore Distillery. Chivas Welcomes Top Bartender, Rhys Wilson, To The Team. 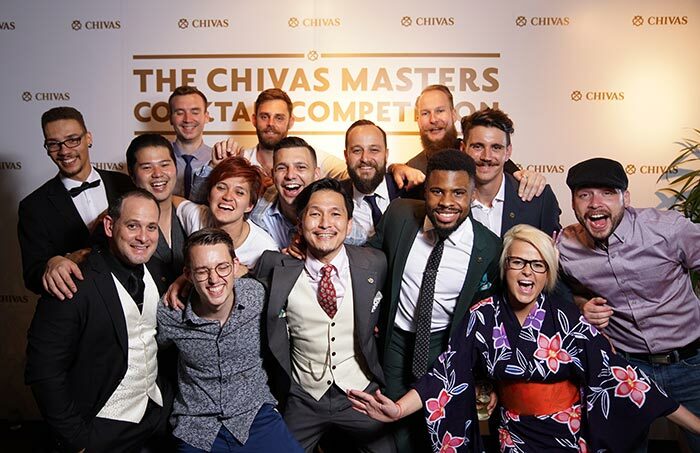 From Chivas Masters UK champion to Global Brand Ambassador.